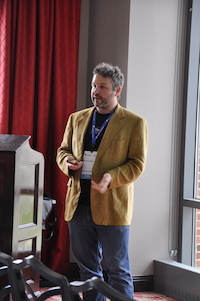 At Path to Agility, I told stories of “Shoestring Agility in a Velcro Organization”. The stories are also available in written form as the TDD in Context series. In a conference full of businesses, methodologies, processes, and best practices, it was refreshing to hear a story about personal and professional continuous improvement; we get better at what we do one step at a time. And if you are really lucky, you will make a few good friends along the way.